This is one of the six Landsverk Anti II AA-tanks that were bought from Sweden in 1942. 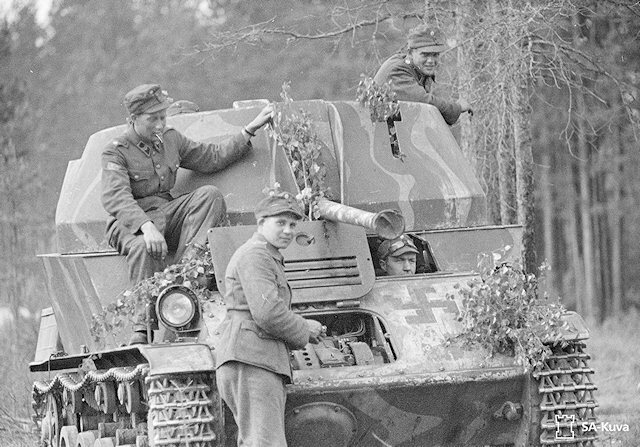 The vehicle is restored but the colours used in the camoflage are Finnish instead of the original Swedish ones. The "lid" on top of the turret is not an original configuration. It is added to keep the rain and snow out. These pictures are taken at the Finnish Armoured Brigade's garrison in Parola, Finland.